Powerful Cleaning for All Auto Surfaces from the Most Trusted Name in Car Care Getting the right tools for the job is critical – especially for your car. 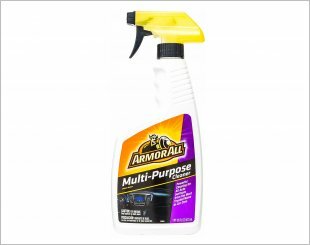 Give it a captivating, magnetic, “just detailed” look with Armor All Multi-Purpose Cleaner. Our meticulously balanced formula, scientifically engineered for your car’s special needs, lifts away dirt and debris without harming automotive surfaces. As the leader in quality car care, our products are formulated to meet the most exacting standards of detailers and show car owners, delivering results you can trust. 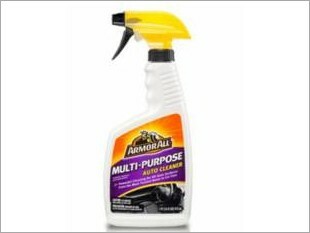 Armor All Multi-Purpose Auto Cleaner will not discolour carpets or upholstery. When dirt or stains are removed from these surfaces, the cleaned area may reveal prior, sun-induced fading. Spray directly on the surface to be cleaned. Stubborn stains may require scrubbing. Do not allow to dry on the surface. Rinse spills and runoff. For glass, clear plastic or painted surfaces, dilute 1 oz. in one gallon of water. Getting the right tools for the job is critical — especially for your car. Give it a captivating, magnetic, "just detailed" look with Armor All® Multi-Purpose Cleaner. Our meticulously balanced formula, scientifically engineered for your car's special needs, lifts away dirt and debris without harming automotive surfaces. As the leader in quality car care, our products are formulated to meet the most exacting standards of detailers and show car owners, delivering results you can trust. Tips and Tricks: Spray directly on tough spots and stains for extra cleaning power. 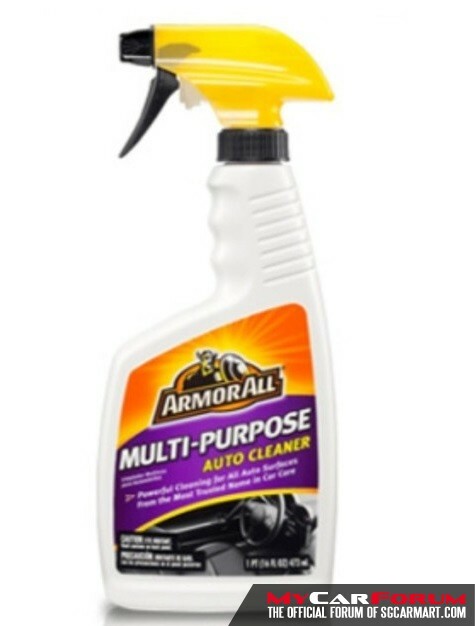 Attention: Armor All® Multi-Purpose Auto Cleaner will not discolour carpets or upholstery. When dirt or stains are removed from these surfaces, the cleaned area may reveal prior, sun-induced fading. I am interested in the "Turtle Wax Multi Purpose Auto Cleaner 473ml".